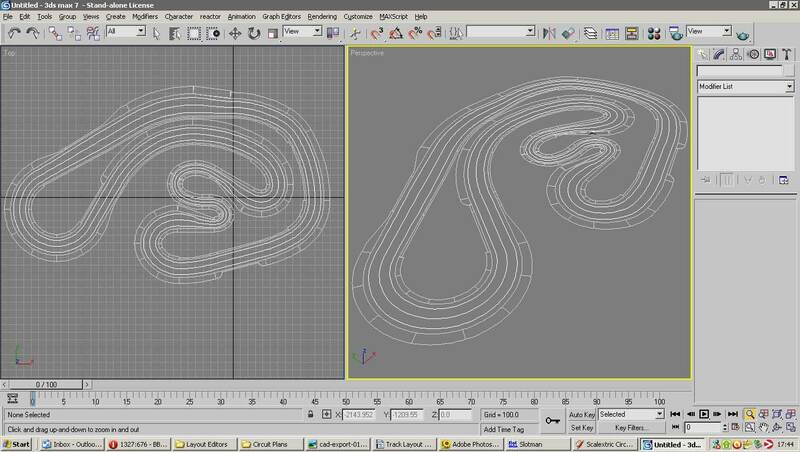 Which track design software to use? 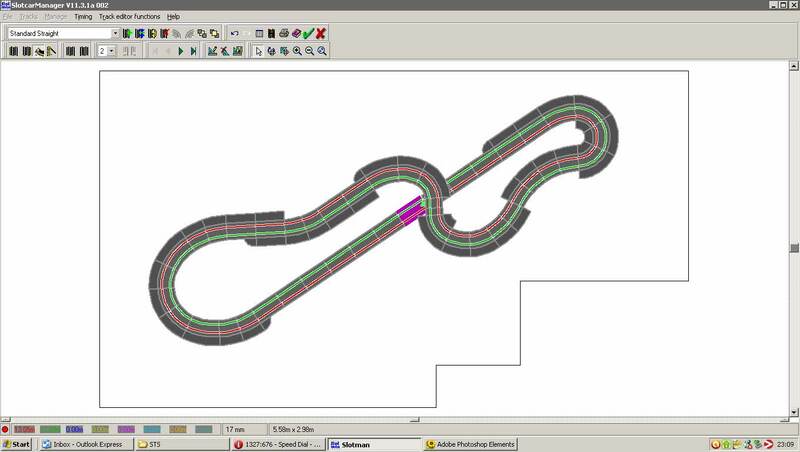 The question of which software to use when planning a plastic or routed track, comes up every now and then. So I thought it might be useful to put all the information together in one place and provide a quick comparison of the various systems available. Track systems:- Ninco, Ninco N-Digital, SCX Digital System, SCX Original, SCX Compact, STS 4x4, Scalextric Sport/Sport Digital and Carrera Evolution/Digital 123/Pro-X. Advantages:- Not expensive, simple to use and track libraries seem complete. Disadvantages:- Not many track libraries and there is no way to add custom track pieces. Track systems:- Artin 1/32, Artin 1/43, Aurora AFX + MM, Aurora AFX, Aurora Ajet 1:32, Carrera Exclusiv 1:24, Carerra Universal, Fleischmann, Lifelike HO, Marchon, MaxTrax 4 Lane, MaxTrax 6 Lane, Ninco 1:32, Polistil, Revell / Riggen, Scalextric Sport, Scalextric / SCX + Digital, Scalextric Sport + Digital, Strombecker, Tomy AFX, Tyco HO, Scratchbuilt 1/64, 1/43, 1/32, 1/28/, 1/24, ISRA. Flexibility/Customisation:- Fairly extensive, colours, textures, track libraries, track sections. Ease of use:- Medium. 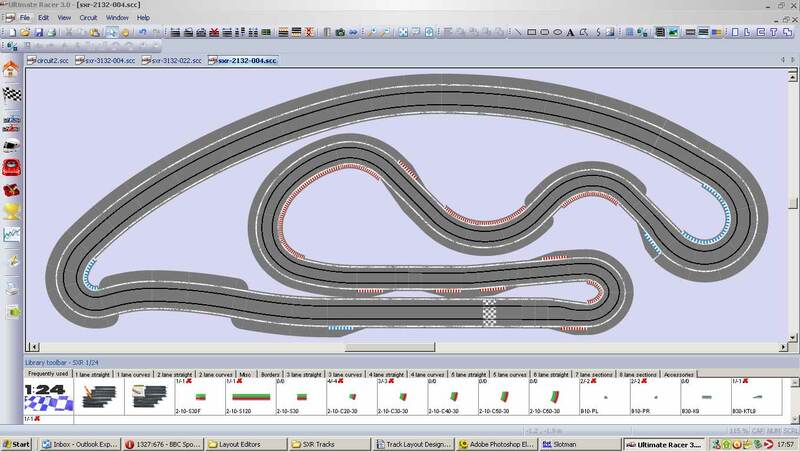 Can be reasonably simple if you are just downloading and using existing track libraries, but is much more complicated if you want to design your own. Advantages:- Anything is possible, plastic or scratchbuilt tracks, buildings, cars, scenery etc. Free models to download. 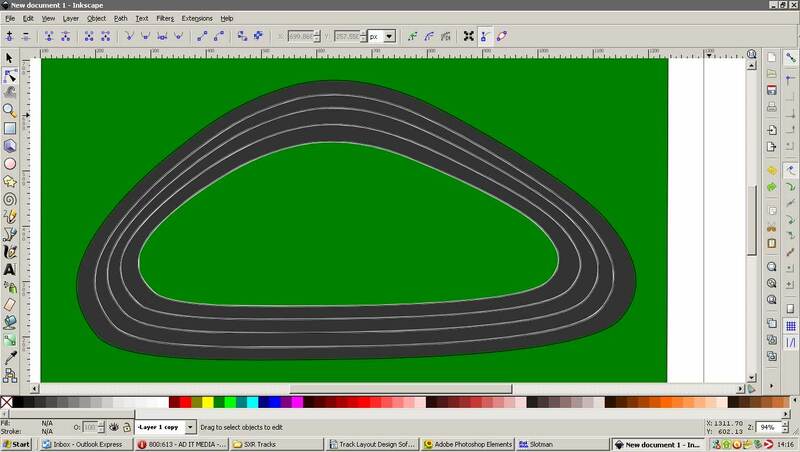 Disadvantages:- Track libraries are currently limited and creating your own is time consuming. Disadvantages:- Not easy to learn and use, and no track libraries are available. Plastic/Scratchbuilt:- Both are possible, but scratchbuilt tracks are the norm for these programs. Disadvantages:- Not easy to learn and use, not even easy to decide which program to use. Disadvantages:- Time, patience, skill and of course tools are required for a proper scale drawing. 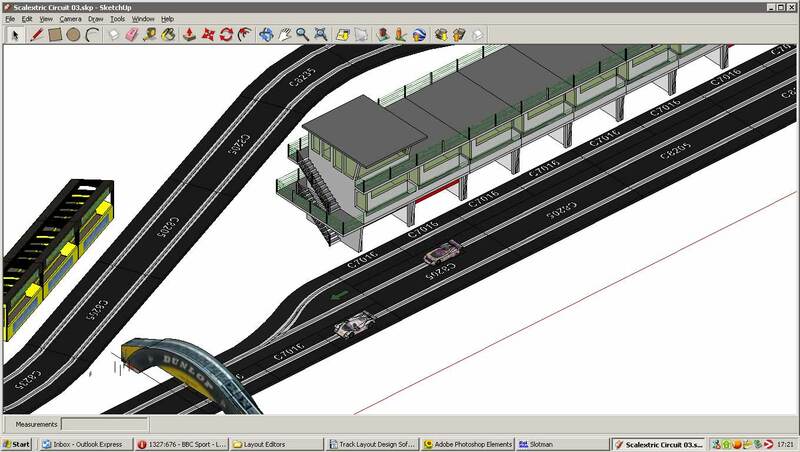 solidworks is also good too....thats what im using . Yeah, Solidworks looks good, is it difficult to learn? 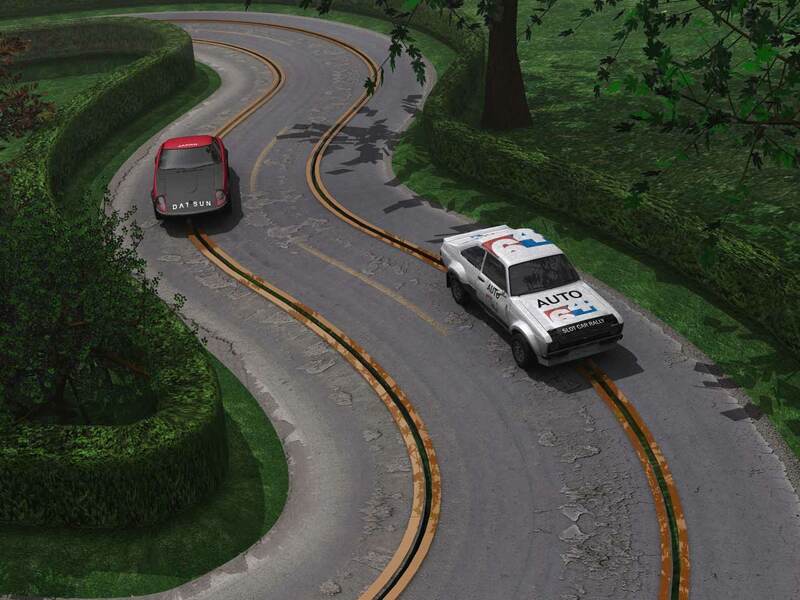 And in defense of slotman and trackpower, it doesn't look like much practice happened with those... they're both capable of much larger, more flowing, and complex tracks than the simple "rug race" looking tracks you showed. 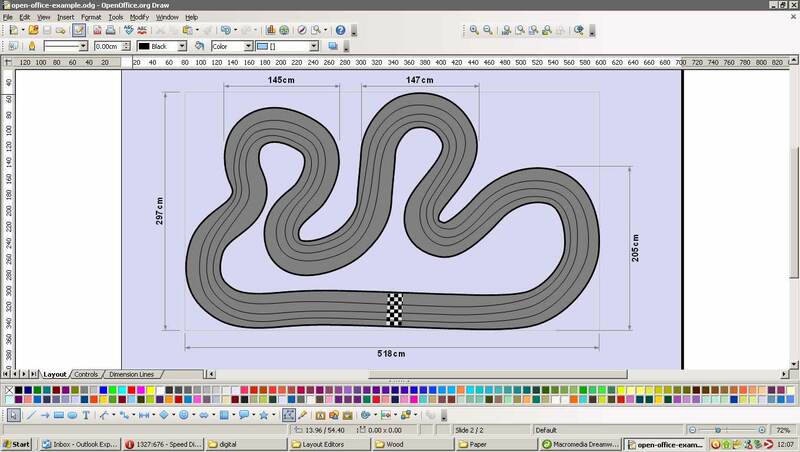 Someone reading this post might judge software capabilities on the images you provided, and believe that those two are inadequate, when they are quite sufficient, AND easy to use/intuitive, for the overwhelming majority of plastic track racers. That's a fair point, and the same could probably be said for the Open Office, Inkscape and SketchUp layouts, to some degree. Sorry, I don't really use those programs very much. But if you, or anyone else could provide better screenshots I'd be more than happy to replace those images. I'm not trying to push anything here, so all opinions are welcome. I've now replaced the SlotMan screenshot. 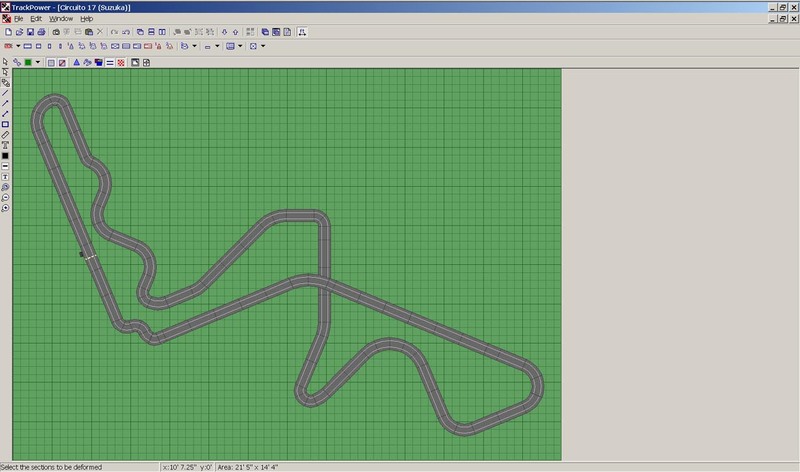 The Track Power demo won't let me add more pieces, and since I now have four programs that are better (for me at least) I'm not willing to pay for the full version. Last edited by MrFlippant; 04-17-2013, 05:35 PM. Nice one Mr Flippant, I've put your screenshot at the top with the others. Now I probably need to do some work on the Open Office and Inkscape screenshots. Thanks, that's a nice resource guide. I suggest the moderators pin it up top! I think the link has gone wrong though, was this the one? Just checked out the link in a bit more detail. It's a very useful list of programs, well worth a look if you're interested in CAD. How do you get ninco track out of sketch up? I also tried slotman but the software looks for a track library in a .stl format, but the track library downloads come in a .sts format - and the program won't read them. All times are GMT-8. This page was generated at 09:10 PM.